This project saw Woodhead Improve deliver the largest co-location project to date for the Department of Works and Pensions in the country. 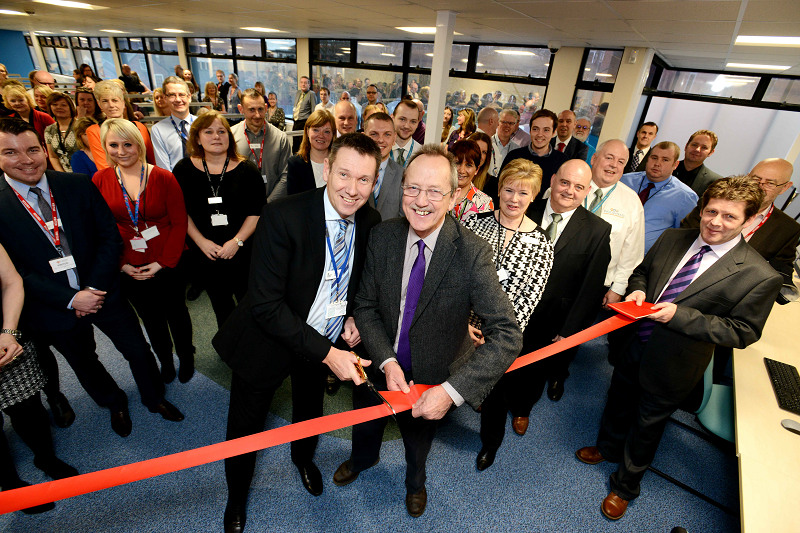 The City of Lincoln council had vacant office space in the building and wanted to bring public agencies together under one roof as a public sector hub to create the most efficient environment for services. Works included the demolition of existing partitions to create an open plan office area. Formation of new partitions and improve M&E installation to form the new offices. Woodhead also delivered new ceilings, painting and decorating and provided flooring and furniture. Key works packages: Major boiler upgrade, decommissioned two oil filled boilers and put in 9 new energy efficient boilers. Woodhead completed roof covering works to both the East and the West wing of the building. This involved stripping off all perimeter upstands, concreting, priming the area, delivering vapour control barriers, and installing solar panelling. Co-ordinating, phasing and programming office moves – The main challenge Woodhead faced on this project was the close proximity of active offices and the individuals within them during the refurbishment. The building remained operational throughout the works, and Woodhead co-ordinated 5 separate office moves to enable the refurbishment to take place without interrupting service. Level 3 was the first floor to be refurbished, and once this was complete Woodhead then re-located the offices from level one, to the newly refurbished floor on level 3. This then allowed for Woodhead to carry out the refurbishment works on level 1. Communication between Woodhead and the client was key in ensuring the DWP was still able to provide all of its services during the works. Mechanical & Electrical – Approximately half the project budget was allocated to Mechanical and Electrical works as Woodhead had to increase all the heating outputs, developing design and performance specifications to determine if the existing Double Boilers could take increased loadings. The empa framework enabled Woodhead to engage with the client at an early stage of the project. Woodhead were able to attend the initial design and preparation meetings to facilitate this process. New energy efficient lighting and LED’s were installed to reduce running and lifetime maintenance costs. Demolition and waste removal – In order to deliver open plan office space, there were various demolition works required on the existing space. Demolition works create a large amount of waste which has to be removed from the building safely, and disposed in Skips. Where feasible remote controlled machinery is used to assist the disposal, but due to the building having a number of floors, it meant that any waste being removed had to travel down a numerous staircases. The safest way to do this is to take the waste out by hand which creates challenges such as damage to adjacent surfaces, dust, and noise interrupting the services of the live environment. To ensure that the waste removal didn’t impact the building dust suppression and extraction methods were utilised, and works took place at times agreed with client to ensure any noise created would create minimum disruption. This included weekend and ‘out of hours’ work to accommodate the client. Woodhead are committed to delivering social, economic, and environmental value. This project saw a first year construction student from Lincoln College undertake a work placement that enabled them to successfully attain a CSCS card. The student reported to the Site Manager and gained invaluable experience shadowing the Site Manager, and undertaking a variety of construction related tasks. This placement formed part of their study programme and will count towards their second year college results. Local labour 98% within 40 miles. Live Site – Remained active with over 500 individuals in the property each day.